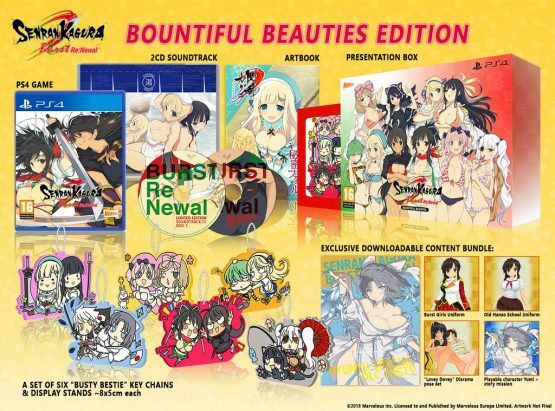 Marvelous Europe has announced today that a physical collector’s edition of Senran Kagura Burst Re:Newal will be releasing in Europe. The “Bountiful Beauties Edition” of the game, as its called, will release alongside the digital deluxe “Shinobi Rivals Edition” of the gang, both of which will launch this fall when the game releases worldwide for PlayStation 4 and PC. The Shinobi Rivals Edition of the game will be available digitally from the European PlayStation Store this Autumn, with further release details coming as the game’s release gets closer.